This article features a huge amount of Photoshop web design tutorials, which will teach you simple effects which can be combined together in order to create a great website design. 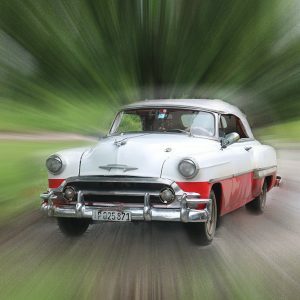 Theses tutorials are perfect for first time Photoshop users because there short and sweet. I hope you enjoy the article and feel free to leave a comment below. you’ll learn how to make this sleek layout with a carbon fiber background that would look great as a landing page for a website. In this tutorial, you’ll learn how to create a very fancy “Web 2.0″ website layout in Adobe Photoshop using beginners skills. If you have any questions about this tutorial don’t hesitate to ask in the comments. This tutorial can teach you to create this awesome tutorial. 9) White notebook style for web site design. how to create a cool website using an cool paper texture. This is a tutorial to show you how to create a magazine web layout. We also discuss about what we need to pay attention and what we have to ignore. In this tutorial you will learn how to create a portfolio styled layout for your design studio gallery. If you have any questions about this tutorial be sure to ask in the comments. Also, remember with all the tutorials, the psd is available for download. another tutorial by hvdesigns, in this tutorial il show you how to create a sleek dark style layout. A great tutorial on creating clean business layout. In this detailed tutorial we will learn how to create impressive layout for Creative Studio. In this tutorial it will show you how to create a clean corporate layout in Photoshop. The original layout was created by kuntiz from Theme Forest. In this tutorial il show you how to create a sleek looking design studio layout. This tutorial will teach you how to design a cool grungy website layout. 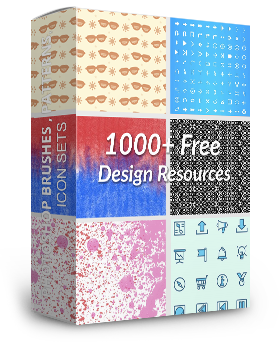 As well as walking you through the various Photoshop techniques it outlines general design principles and provides pointers for your own grunge designs. In this tutorial it will teach you how to create a modern web 2.0 styled web layout from scratch. In this tutorial It will be showing you how to create a simple website design in Adobe Photoshop, the design was originally created by mjwalsh. In this tutorial you learn how to create dark sleek website design. This is quite short for a Photoshop web layout tutorial, with only 18 steps to create a nice looking bright, layout. In this tutorial we will be going through a full photoshop design of journal/personal type website. This tutorial will show you how to create a clean looking layout for your portfolio. A cool tutorial on how to create a cool hand drawn tutorial. A tutorial creating a cool vector layout. A very cool tutorial for a very cool web design company. A tutorial shows how to create a portfolio website to showcase your work on. A great tutorial which shows you how to create a great cool unique photoshop layout. This is tutorial number 163. In this tutorial it will show you how you can create a simple design portfolio layout. A tutorial which guides you through the process of creating a Professional Modern Web Layout. An awesome mock-up layout tutorials on wordpress site psd. a portfolio layout for a photographer. How to create another type of shopping cart website layout. It will show you how to create a Interior Design layout. A tutorial how to create a colourful funky website design. A great tutorial using the pen tool and photshop brushes to create a grunge vector layout. In this tutorial we will learn to create nice personal portfolio web page. A step by step guide to creating a professional web layout. Design layout tutorial to which will you teach and show you some useful tricks. This tutorial will show you how to create a clean looking web layout for your portfolio. Here is the final result on how to create a simple elegant blog layout. An artistic web design depicting a “Magic Night” concept. 57) Photoshop Paper Texture from Scratch then Create a Grungy Web Design with it! Tutorial on creating a simple paper texture from scratch in Photoshop then marrying it with a web layout to create a neat design. 59) First Web Design Tutorial! A really easy simple tut for first time Photoshop users. Learn How To Design The Perfect Website Using Adobe Photoshop. 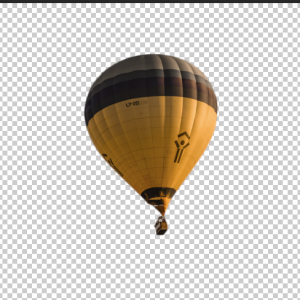 In this tutorial it will show you how easy is to create a layout with transparent buttons. This type of layout was used lately a lot because it is the latest trend in website design. For start i will show you how to create a colorful background then i will transform this background into a nice layout. For start you need to create a new document in Photoshop. in this tutorial it will show you how to create a nice looking portfolio layout in a few steps. Learn how to create a fantastically looking gaming layout, you wont be disapointed. In this tutorial I will be showing you how to create a simple website design in Adobe Photoshop, the design was originally created by mjwalsh. Awesome photography portfolio design with a lot of content boxes and an attractive look. A tutorial which guides you through creating a layout for an hosting company. A tutorial how to create a unique desktop layout. A simple tutorial which has a great final outcome. It shows you how to create another layout for a hosting business. 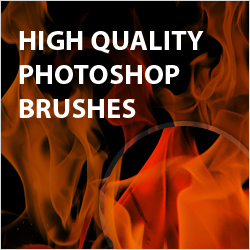 Fantastic blog i got here about .Clipping Path Services ,I enjoyed reading some of your posts. As web is moving to more responsive design, is using photoshop to design websites really the way to go anymore? Also I think it would make websites extremely graphic heavy in places they don’t need to be. Obviously it allows a lot of easy ways to create great looking design concepts, but then implementing them afterwards in a more robust format afterwards seems like it’s a lot of work when there are better options these days. It does not seem unreasonable to suggest that the entire way out is the ideal situation to explore the best educational action plan in promoting the best approaches in exploring the functional action issues in precise manner. in order to find out the best approaches to all each way out is the ideal situation to all. Such tutorials bias post always my choice . Regularly i find such post and learnt somethings from there, Thanks . Fantastic post. hope you wil share more post. In this article, a lot of cool tips for both beginners and professionals.